This unique coffee table will be a statement piece in your home. The base of the table has a propeller design, made of metal and reminiscent of a vintage ship. The 10mm tempered glass top allows the design of the base to shine. 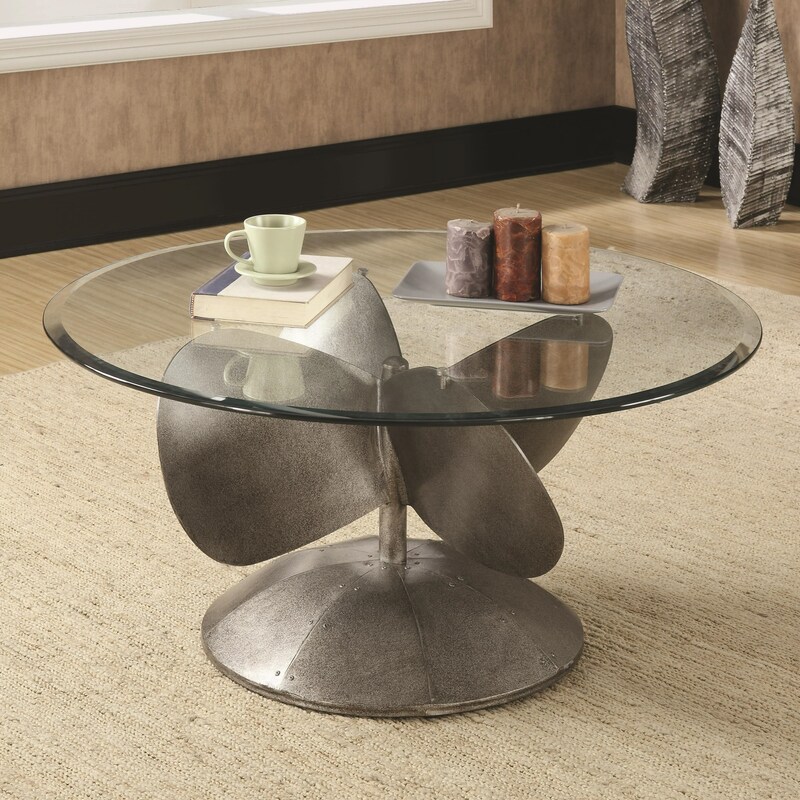 The Accent Tables Industrial Coffee Table with Propeller Base by Rooms Collection Two at Rooms Furniture in the Houston, Sugar Land, Katy, Missouri City, Texas area. Product availability may vary. Contact us for the most current availability on this product. 704558B1 Coffee Table Box 1 1 0" 0" 0"
704558B2 Coffee Table Box 2 1 0" 0" 0"